The first land plants are believed to have grown more than 460 million years before humans walked this Earth. Plants have developed incredible relationships with the natural environment. Humans need plants way more than plants need humans! Lately, many gardeners and growers have gotten off track from these natural processes. As a result our soils are becoming depleted and infertile, making plants hard to grow and prone to pests and diseases. Fortunately, there are simple changes we can all make to regenerate our soils and return our gardens to the natural processes that mother nature intended. How do plants feed themselves? In nature plants acquire all of the nutrients they need through an amazing symbiotic relationship between the plant roots and the soil food web. Each type of bacteria or fungi extracts specific nutrients from the inorganic matter (sand, clay, rocks, etc) and organic matter (decomposed plant and animal material) in the soil. These nutrients are not in plant-available forms but the bacteria and fungi are able to extract them. As these fungi and bacteria grow, the nutrients from the soil are incorporated into their bodies. The bacteria and fungi are then consumed by microscopic soil organisms which releases the nutrients in plant-available forms at the plant roots. The plant then simply absorbs these available nutrients and the cycle continues. Plants can get whatever nutrients they need by creating the right exudates to feed the right bacteria and fungi that extract the nutrient they need. Does our soil need microbes? Can’t plants simply absorb nutrients directly from the soil? Manufacturers of chemical fertilizers would love us all to believe that soil microbes are unnecessary. But this idea is seriously flawed and damaging to our soils. Nutrients need to be water soluble in order to be directly absorbed by plant roots. Water soluble nutrients that are not immediately absorbed by plant roots are easily leached out of the soil. This means that the nutrients are only available to the plants for a short period of time, and causes untold damage to nearby waterways. So, without constant reapplication of soluble fertilizers, the soil and plants will quickly become depleted of crucial nutrients. Nature has solved this problem by keeping the vast majority of nutrients locked in insoluble forms, such as rock. These insoluble nutrients will remain in the soil indefinitely. They are only released into a soluble form by the soil food web when required by a plant and only in the quantities needed. This is a truly sustainable system, with no nutrients lost. Lately, many gardeners and growers have gotten off track with the natural processes that help our plants thrive. Industrial farming techniques have made it into the home garden, in the form of store bought chemical and synthetic fertilizers. Use of these chemical fertilizers create plants that become dependent on more and more of these fertilizers simply to survive. This is a dangerous, unsustainable and unnecessary cycle. And, if you grow food to eat, this is also considered an unhealthy cycle. Chemical fertilizers are soluble nutrients. These soluble nutrients are easily leached out of the soil and are therefore only available to plants for a short period of time. The fertilizers need to be repeatedly reapplied to provide the plants with a constant supply of nutrients they need. Plants and soil will rapidly become depleted of nutrients once application of these fertilizers ceases. The runoff from the global over-use of these fertilizers is creating its own set of problems too. These chemical fertilizers are sulfate (salt) based. The salt destroys the soil food web by killing the beneficial soil microbes and disrupting the production of exudates. Without a thriving soil food web, the plants can no longer get all the nutrients that they need. The plants will suffer, unless more fertilizer is applied. Adding chemical fertilizers to our gardens starts a vicious cycle. As the soil food web is disrupted, the plants can no longer get the nutrients they need naturally, unless more fertilizer is added. We begin to believe that plants need fertilizers to grow. Tilling and digging are also seriously damaging our soil’s food web. When the Green Revolution occurred in the 1950’s and 1960’s (the period of invention and mass application of chemical fertilizers and agro-chemicals), most soils were already damaged. Adding chemical fertilizers gave these plants the nutrients that the soil food web was no longer able to supply and resulted in more vigorous growth. Thus making gardeners believe that these fertilizers make plants grow better. The truth is that these fertilizers are only needed when the soil food web is damaged. Add high quality homemade compost: This is one of the most important task for any gardener. 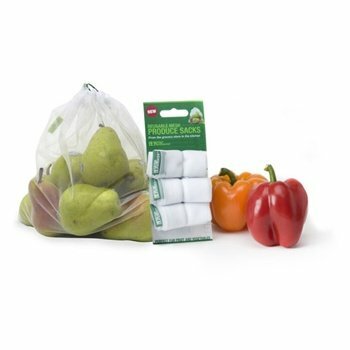 Note that most bagged compost is sterilized, killing any life in the compost. Homemade compost is best for your garden as will contain plenty of organic matter and microbes to feed and maintain your soil food web. 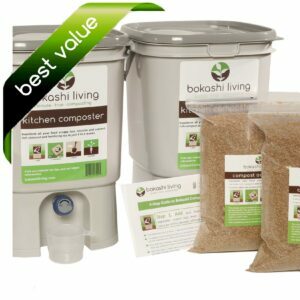 Bokashi compost is richer in these beneficial microbes than any other form of compost. Add beneficial microbes: To give your soils a boost, you can add microbe rich soil amenders; such as our premium bokashi bran or our effective microorganisms culture. The microbes come alive as soon as they come into contact with plant roots, helping plants access the nutrients they need to thrive and flourish. The more you practice the above, the better and more natural your soil and your garden will be. Remember, we depend on plants, plants depend on soil, and healthy soil depends on microbes.